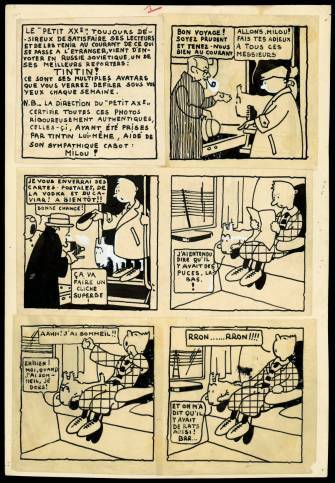 The recent opening of the Herge Museum in Louvain-la-Neuve, Belgium raises a host of questions about the museumification of comics, issues that I have been thinking about this past week as I have taken in a long list of comics art shows. Specially built to house the work of its namesake artist, the Herge Museum has advantages over adaptive sites like the Atomium and none of the baggage of the Beaux Arts Museum. At the same time, its very distinctiveness can be a drawback, and the choices made by the curators tell us a lot about where comics art is located at the present moment. Walk through the museum with me. First, the location itself is odd. I'm not sure why Louvain-la-Neuve was chosen as the site, but it's hardly ideal. Herge was from Brussels. LLN, as it is known, is basically an artificial college town, created in the late-1960s to house a university. You get off the train (more than an hour from Brussels) and emerge into a combination dorm space, campus quad, and shopping mall. I'd love to know more about why this was placed so far from the tourists. The Schulz Museum may be off the beaten track in Santa Rosa, but at least Schulz lived there! Finding the building took some effort, but once found it is quite striking. Designed by Christian De Portzamparc to resemble a moored ship, the space is more than ample for its needs. Spread over three floors, the museum houses a restaurant, a gift shop, nine exhibition rooms and a capacious foyer. In comparison to the Schulz Museum, which is really the best analogue, it is larger and more impressive. At first, I was surprised and disappointed to find no library, which really limits its possibilities as a research center. As I explored the museum further, it is clear from the design that it is not intended to foster research into Herge or his work. The interior space of the museum, and the logic of the exhibition, was the responsibility of cartoonist Joost Swarte. In a quote presented on one of the walls, Swarte indicates that his goal was to simply present the art. There is very little explanatory text in the museum, but there is a lot of art -- several hundred pieces. Apparently, Herge retained a huge proportion of his original work, so there is a lot to select from. The choice to make the museum visually appealing rather than didactic and educational about its subject is an interesting, and even controversial, one. At times, the lack of context makes it feel like the museum has things to hide, as did Herge himself. For those not well-versed in Herge and his work, the museum might be somewhat confusing, as it does not offer an interpretive apparatus. This is clearly a museum for the already dedicated fan, not to make new converts or inspire discussion about his legacy. Entrance into the exhibition leads to the top floor. The first room is dedicated to Herge's life, and features family photos, mementos from his boyhood, early drawings from notebooks, and portraits of the artist's cats. One interesting artifact is a telegram from Salvador Dali, which seems to be included as a way of saying, "Look! Important artists were interested in Herge!" The walls of this room contain two-dozen pieces of original art, ranging from the cover illustration for Tintin in the Land of the Soviets to the original art for the 36th page of Tintin in Tibet. Without text or color, that snowstorm page from Tibet was as beautiful a page as I have ever seen in a comics exhibit. The second room traces Herge's many interests and includes examples of his commerical illustrations and posters. Video screens cycle through examples of the covers that he designed for Le Petit Vingtieme in the 1920s and 1930s, while a series of quotes from the artist covering the years 1923-1938 adorn one wall. Strangely, there was no follow-up to these quotes about later years, which made this particular inclusion seem decidedly out of place -- like they had an idea and then abandoned it at the point where context was sorely needed. The lack of a strong timeline of Herge's life mitigates against the educational possibilities of the space as a whole. To get to the third room you cross a long walkway that offers views of the lobby on one side and of the oak forest outside on the other. This is a lovely architectural moment. Room Three really introduces the Tintin cast for the first time, with nine glass vitrines dedicated to some of the major characters from that series. It is probably notable that Tintin doesn't receive his own vitrine! The first is accorded to Snowy, faithful dog sidekick, with pages from five different albums. Here the lack of context really hurts. Included is a page from Cigars of the Pharaoh that has been chopped up and re-arranged. I know that this is because Herge and his studio redrafted the early black-and-white books after the Second World War, cleaning up their suddenly unpopular politics, but you won't learn that here. This is another missed opportunity to place Herge within his own historical moment and is a striking example of the way that the museum seeks to erase the complications in the artist's past. The racist images in his work, charges of Nazi collaboration and general colonialist attitudes require at the very least some acknowledgment. Here they are largely swept under the rug. The other vitrines focus on Haddock, the Thompsons, Bianca Castafiore, Professor Calculus, Nestor, Abdallah, Seraphin Lampion and Rastapopulos. 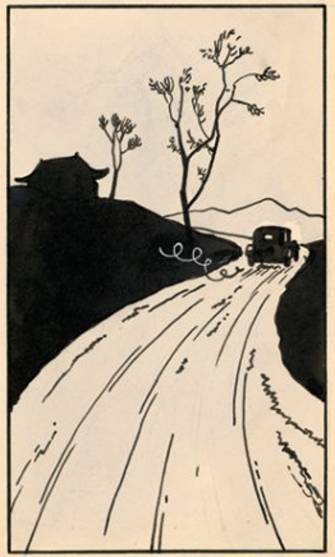 I was surprised by the absence of Tchang, given his centrality in arguments about the development of Herge's style. Each case included a range of finished inked pages, color guides, sketches and rough pencils. The best juxtaposition comes in the Lampion vitrine, where the penciled and finished versions of page 62 of Red Sea Sharks sit side by side. This was the type of thing that made the trip worthwhile. The fourth room was, I thought, the weakest. Focusing on Herge and the cinema, connections were made between, for example, Jo, Zette and Jocko and Fritz Lang's Metropolis, or between Herge and slapstick silent filmmakers. This simply didn't work for me. It is interesting, also, that this was the section with the most context, but so much of it seemed to only skim the surface of the work. Attached to this room was the screening area, where Henrie Roanne's 1976 documentary, Moi, Tintin, was being screened. This was the only part of the exhibition that provided any real context or background for the artist's work, or which touched upon the serious issues underlying it. Moving down one floor, we pass an enormous chandelier decorated with images of the Tintin cast. I thought this was tacky beyond words. You wind up in the largest room in the museum, which is devoted to Herge's life-long love of the travelogue. Large glass cases contain original art from many of Tintin's exotic adventures alongside props: African masks, Chinese tapestries, beaded moccasins, a stuffed parrot (!?)... This did little to disabuse anyone who might be interested in lobbing the colonialist complaint against our fair-haired reporter. An even larger case along another wall contains Tintin props and kitsch, ranging from bowler hats to Tintin toys. Beside this was another large room made up to be Calculus' laboratory, which focuses on science in the Tintin books. The highlights here include the model of the rocket from Destination Moon, and some wonderful original pages from that book, a life-size model of the shark submarine, and some annoying television tests to imitate The Castafiore Emerald, the latter of which almost drove me mad with aggravation. Crossing the lower bridge, we enter into a space reserved for Herge's Studio and the assistants that he used throughout the latter part of his career. This was a big failing for me. Herge's studio, which opened after the war and the charges that he collaborated with the Nazis, was an important development in the history of cartooning, not just because they were so important in the development of Tintin Magazine, but also for the way that the Tintin books themselves were rewritten to be more politically appropriate. Sadly, none of this context is presented. Aside from the politics, the use of assistants allowed Herge to change the visual look of his work, by bringing in, for instance, "car specialists" to draw backgrounds. But this artistic innovation isn't explained either. The vitrines here are filled with model sheets, replicas of drawing tables, and toys, but no real sense of how work was shared is given. Hints are there: two versions of page 33 of The Black Island hang on the wall, the original and the version redrawn for the color book. It is fascinating to see the extensive changes that went into the latter version, but without context it would be extremely frustrating to a casual visitor. I should note that the museum does provide visitors with a free multi-lingual audioguide, but it tends to be a little more on the cute side. The final room is for Herge Acclaimed, and it seeks to prove that he was well respected by politicians, artists and philosophers, which is strange since the very fact that he has his own museum seems to offer enough proof on this front. Here Herge's original art shares space with an Alain St. Ogan page gifted to the artist, and three Andy Warhol paintings of him. I also liked the photo of Herge standing on the Lombard building's roof at night under the Tintin sign and lighting a cigarette much better than that of the Dali Lama reading Tintin in Tibet. The regular exhibition concludes with a quote from Herge about comics being a genuine mode of expression which seemed somewhat unnecessary, and then exits through a tiny circular room in which are displayed copies of the various books in different languages while the voices of children intone the titles. It's all very Free To Be... You and Me. On the main floor there is a space (presumably) for temporary exhibitions. Currently it houses a tribute to the building itself, including the architectural models, early proposals and even samples of the concrete used in the construction. The highlight here was Joost Swarte's conceptual drawings for the museum. It is interesting to note that the general plan was pretty much followed, although the specific execution often was not (he had much more interesting uses of color and shapes than made it into the final design). It wasn't clear to me if this exhibition will be maintained over the long run, but I would think not, and it would be nice to see it opened up to rotating exhibitions of, for example, artists influenced by Herge. Indeed, Swarte proposed just this, with a room that would be entered via a door shaped like a tree. The restaurant, Le Petit Vingtieme, is very nice and definitely not for the family set, which is good since I had left the family behind in Brussels. I enjoyed the lobster ravioli with a nice Languedoc red. The gift shop was underwhelming, and you'll find a better selection of Herge/Tintin products in any comics store in Brussels. The Museum has a small guide available for 9 Euros (in English) and a large catalogue for 35 (in English, French and Dutch). Predictably, books that haven't received the Moulinsart seal of approval were not for sale. Which leads me to one of the sticking points for the whole enterprise. The Herge Museum is the product of the Moulinsart empire, who radically restrict the use of Herge's work. Indeed, no pictures can be taken in the museum and the museum asks that sites like this one only use the images that they provide -- even of the exterior. The tight control exercised by Moulinsart is certainly their legal right, but I think it is to Herge's ultimate detriment. When the museum dodges the controversies in the artist's career, fails to provide a research centre, and strictly monitors the use of images, the overall effect is chilling. 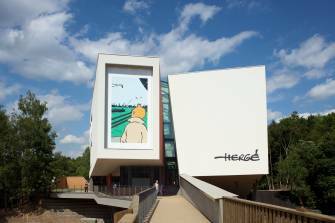 The choices made by the Herge Museum are an attempt to promote the artist as a significant Artist. The space offers little context for the novitiate, but is a site that will likely please the dedicated fan. It lacks the kind of blow away spectacle that Beaubourg had in 2007 when they showed every page from a single Tintin book, but it also avoids most of the key gaffes that often plague comics exhibitions in "real" art museums, such as the Pompidou Centre's embarrassing focus on sound effects painted onto the museum's floors. Despite these criticisms, it is important to note that the entire logic of the space signals a shift in the way that we think about comics. This is not a Tintin Museum, but a Herge Museum. That is the kind of sea change in focus that I wouldn't have expected even 15 years ago. If only the museum told the story of Herge better and more fully.